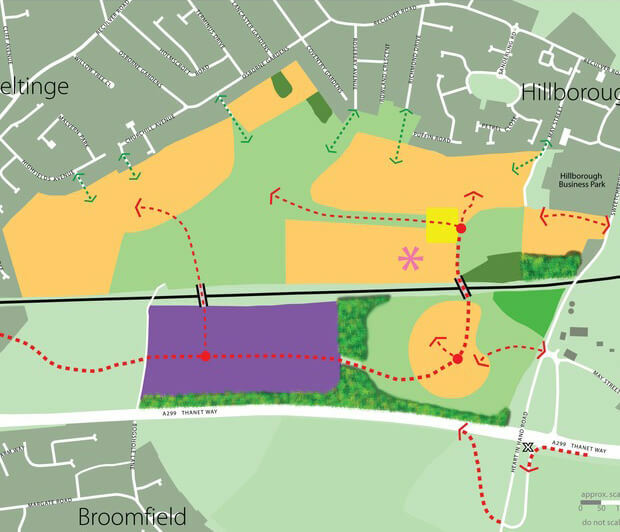 Kitewood has owned this 170 acre site for many years and it has been allocated within the Canterbury Local Plan for mixed use development embodying residential, commercial and local community facilities. Nearly 700 homes by 2026. A further 500 homes post 2026. Large areas of public open space and landscaping, improved public transport and road connections.